Berlina Body Works has been trading since 1975 from Parramatta Road in Leichardt and over the years the business has built a solid reputation for their passion and commitment to excellence. In this day and age it is unusual to find a business that excels at the old school craft of panel beating, file finishing and lead wiping. 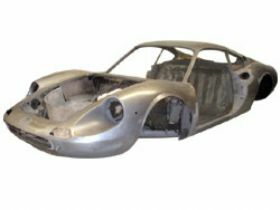 These days a lot of businesses are just interested in getting the cars out the door but at Berlina Body Works the emphasis is on craftsmanship, quality, attention to detail, patience and customer satisfaction. The business was founded by George and Cathy Piazza and today it has a team of fourteen staff. George was born in Italy in 1950 and immigrated to Australia at the age of ten. His passion for cars started while still a child and at the age of 14 George started his apprenticeship. His love for his job and cars resulted in long hours in his pursuit to learn all the skills of the trade and he would spend his spare time camping at the race track helping teams repair their cars so they could compete the following day. In the 1980s GIO launched the Recommended Repairer system with Georges help. 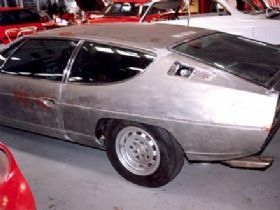 The television advertisement was filmed at Berlina Bodyworks and George is still heavily involved in the development of the motoring industry. These days Georges son Enzo is heavily involved in the business and has picked up all his fathers positive traits. 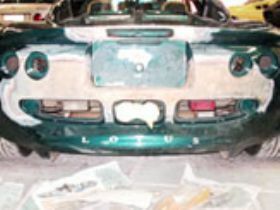 Berlina Body Works will undertake work on any car and at present in the workshop there is a Ford Mustang, GT HO, Aston Martin, Maserati and Lotus Esprit amongst others. Their forte is Ferrari, Alfa Romeo and Lamborghini and their many satisfied clients that own these marques will attest to their expertise. The business offers a range of services to clients including advice on the best possible way to tackle a restoration, paint and panel work, lead wiping and file finishing. They can work on a variety of different surfaces including aluminium, all aspects of fibreglass work and composite panels like carbon fibre. Rust repairs and panel reconstruction in any material is also catered for. They can project manage a full restoration from A-Z and offer a one stop shop in association with trusted quality partners. Berlina also care for some corporate customers executive fleets and provide pickup and delivery for detailing services. The workshop is very different to what you might expect and has an expansive glass window opening out onto Parramatta Road that allows you to view what is normally the behind the scenes activity of a professional body shop. It is large, bright and airy and can comfortably hold up to twenty five cars at any time. The other unusual aspect is it looks like a working laboratory very clean and organised and the premises reflect the same quality evident in the repairs and customer cars on show. Cars range from exotic Ferraris, American classics, race cars through to daily drivers. 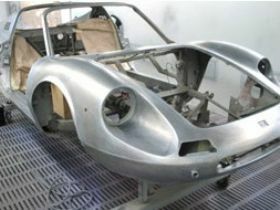 The workshop has all the equipment required to restore and fix the marques that pass through it. This includes a Celette straightening bench that is manufactured in France and the company has been making jig benches since World War II for the likes of Mercedes, BMW, Audi and Porsche. Berlina Body Works also have a Celette Naja infra-red digital measuring system, one of only a few in this country. Welding equipment includes MIG, silicon bronze inverted, Top Pro spot welder and a Sebora TIG welder as used in the Ferrari factory. In the workshop there is a complete dust room for composites and fibreglass work and two straight down force booths fully geared up for spray painting and equipped with infra-red heating and baking capabilities. Clients and potential customers know who and what is out in the marketplace and are often referred by someone who was impressed by the service or the job that was done for them. 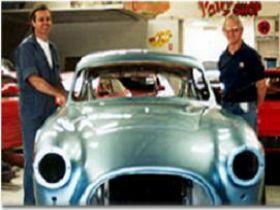 Berlina Body Works have been in the same place for over thirty years doing the same professional quality job and offering the same outstanding customer service and their reputation and customer testimonials mirror their pride, passion and competence. The business still gets involved in the preparation of racing cars and these days they are utilising their many skills in the Improved Production style and Historics where the look of a car is seen as very important to the owners. Aside from paint and panel work clients request seam welding and shell strengthening to provide the necessary stiffness required in motor sport. 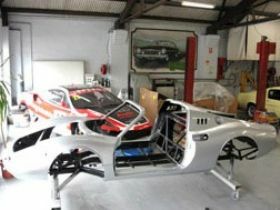 Berlina Body Works are also involved in Formula III and prepare 360/430 Challenge race cars for the Picola Scuderia team. Berlina Body Works is in a very central and convenient location close to both the city and the inner west, and with opening hours falling between dawn and dusk six days a week the workshop has become a preferred choice for many clients. If you are interested in their professional services drop by the workshop or give the office a call on (02) 9560 2954.